Those still feeling the buzz from the sublime Iron & Wine performance at the Astor Theatre in July will be climbing over themselves to hear this tidy new morsel from Sam Beam and his merry crew. 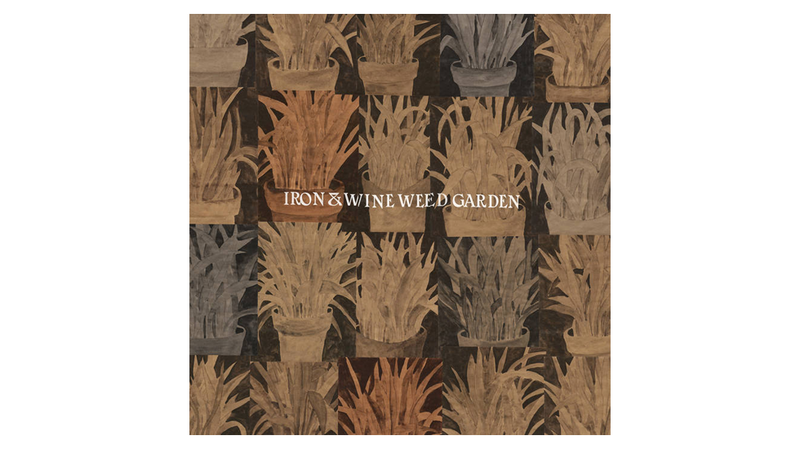 Weed Garden is a collection of six songs that were written in preparation for the previous Iron & Wine album Beast Epic, and for various reasons went unfinished. Beam is no stranger to the EP, having littered the earlier part of his career with a number of highly regarded discs of the six song format. What Hurts Worse has the minimalist percussion and perfect harmonies, that makes this recent chapter of Iron & Wine the most consistent vein of form to date. There are more full and urgent moments with muted strings and a straight-ahead melody driving Last Of Your Rock ’n’ Roll Heroes and the moody Milkweed. Waves of Galveston has been kicking around in the live set for some time, but is only now getting its official release. Beam’s voice is a rich whisper that floats around the spacious arrangement as bells chime softly in the background. Autumn Town Leaves is the type of heartfelt, peaceful folk that has been the Iron & Wine staple, while Talking To The Fog is both personal and affecting. It is the subtle nuances of tone and touch that set Iron & Wine apart from the other artists with ample beards and an acoustic guitar. In the space of six songs, Sam Beam manages to pack in as much warmth and heart as most can only manage in a full length. Weed Garden is the musical equivalent of going to bed on a cold night, with a honey soaked mug of tea and a cat curled up on your feet.